It’s time for you to relax. And to do it in style. 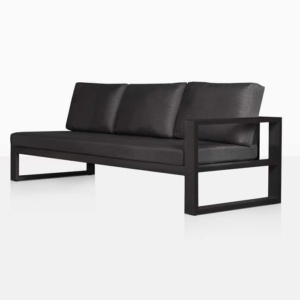 It is our pleasure to introduce to you the Mykonos Outdoor Loveseat – the forefront of contemporary outdoor living. Are you interested in a piece of outdoor furniture that looks like it walked out of the page of a magazine and into your yard? This is it. 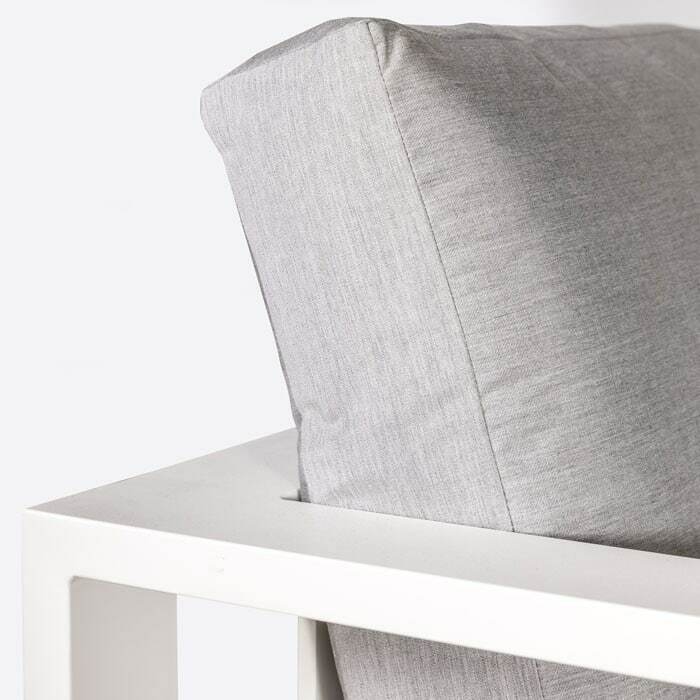 Stunning wide frame of powder coated aluminium, layered with plump, plush Sunbrella® cushions and in a generous size means that the Mykonos Outdoor Loveseat will cater to your desire for stylish furniture, and also keep you in year round comfort. 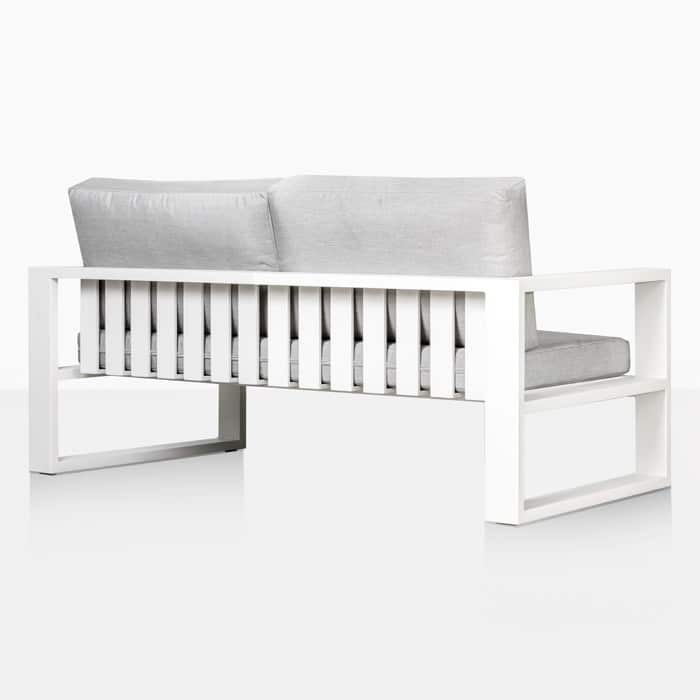 Our Mykonos Outdoor Collection is the marriage of luxury furniture and exceptional quality. Each piece has been lovingly designed so that our customers enjoy the comfort of outdoor living with style that knows no bounds! 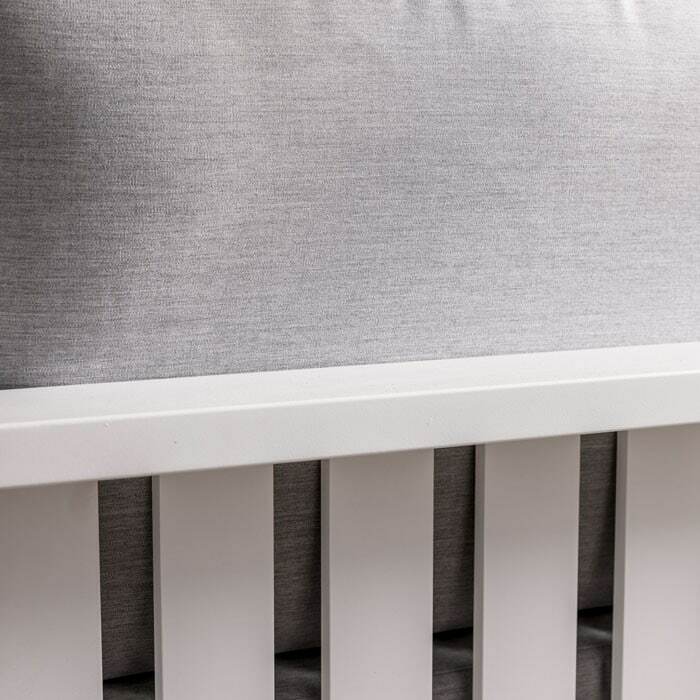 A solid structure in sleek white is offset by soft, long lasting cushions, which creates an implicitly stylish look and means each piece is something you could sink into and stay all day long! 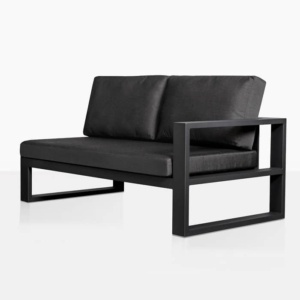 As well as the elegant outdoor loveseat, Mykonos Collection features a modern outdoor Sofa, Club Chair, Side Table, Coffee Table and Ottoman. Whether you are purchasing a single piece or building a fabulous outdoor room, this is a series that will make ultimate impact. Pair up this exquisite Mykonos Loveseat for the Outdoors with a couple of comfortable Club Chairs and a Coffee Table to polish off the look. Place in your green garden area and you’ve succeeded in making an area that you can proudly show off to friends and then further impress them by allowing them to bask in the comfort of this outstanding outdoor furniture. If you’ve got a stark concrete pad, then this contemporary set will add to the modern haven. Purchase two Loveseats with a series of Side Tables and an Ottoman or two for good measure. Chic, impressive and a well deserved luxury area for you to unwind in after a long day. 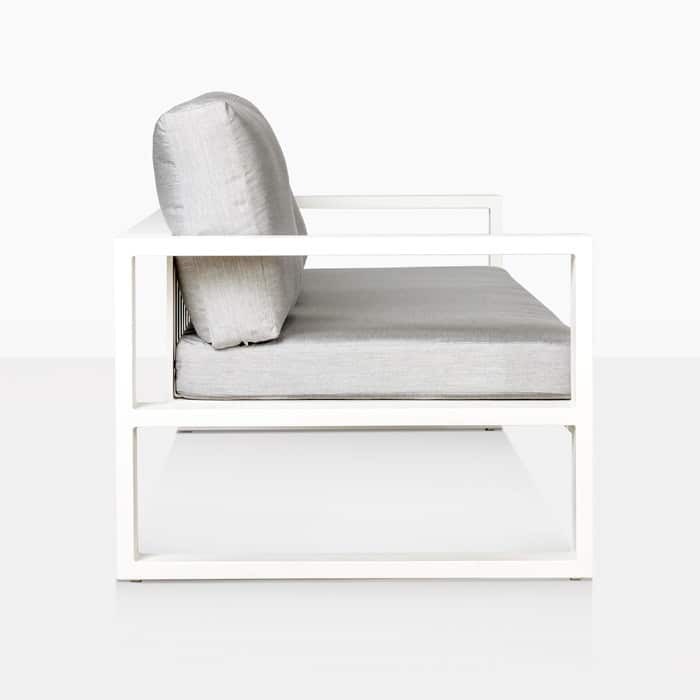 Each Mykonos deep seating piece comes complete with free Sunbrella© cushioning as shown. Let’s collaborate! Call us today to find out what look will work best for you!